At SDC WR people matter, regardless of how vocal, tech savvy, or confident they are to participate in the public sphere. ...It takes a lot for anyone, particularly those with fewer resources, to acquire information, to persist to get answers and to participate in formal decision making processes. SDC WR is a point of contact to translate complicated public policy language and help focus citizen input. When looking to the future we need to understand our past and what is happening now. Those most affected by an issue must be central to designing solutions. Having undertaken a systemic analysis of poverty, SDC WR has found persistent and vicious reinforcing cycles at the individual, community, institutional and global levels. A session was held October 13th to this do this analysis at the Community Level. 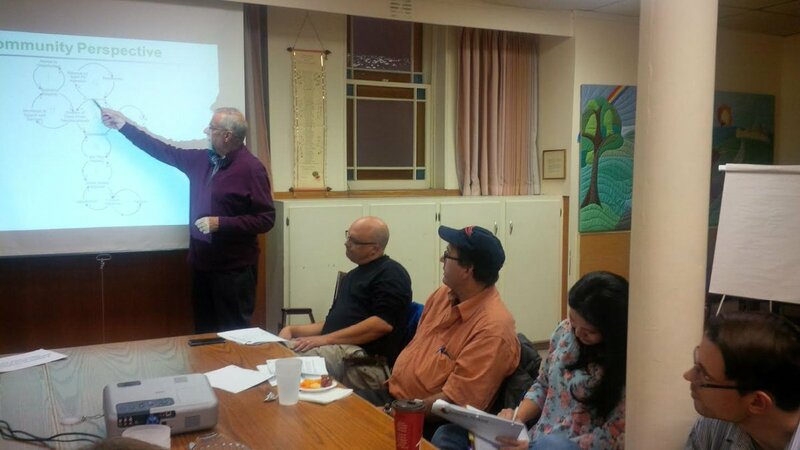 Hosted with Stephen Baetz and SDC’s Community Social Planning Council, the analysis strengthened the necessity of the role SDC plays in finding solutions to complex social problems such as poverty. SDC WR is a trusted partner for many in solving problems, large and small. As a community ally, SDC works in ways that strengthen bonds, bridges and action for change. These are all components to build social capital in our community. SDC WR has been a partner with the City of Kitchener for five decades and the work being done by SDC addresses what is important to the community as well as the City’s own strategic priorities! An important message: Reinstate core funding to SDC as a trusted partner to continue its social development work!